4. 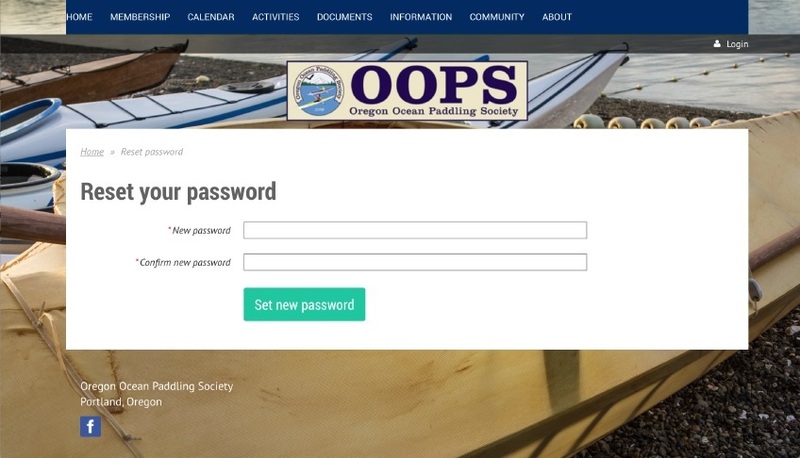 Enter the email address associated with your OOPS membership. 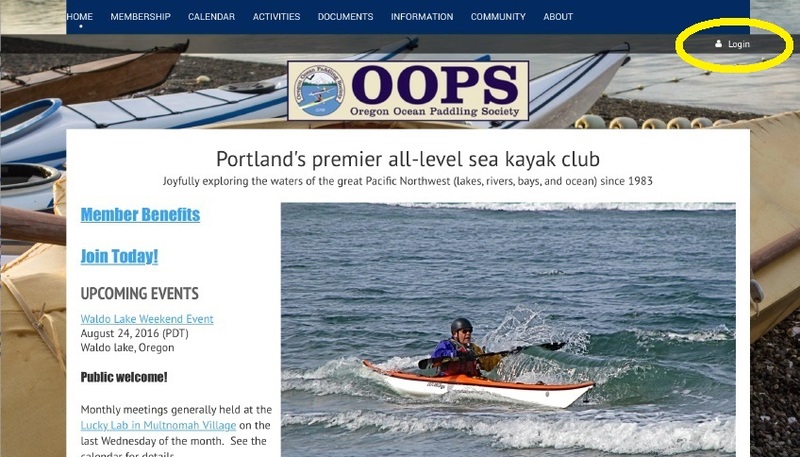 If you do not know the e-mail address OOPS has for you on file, and try a few that don't seem to work, please contact membership@oopskayak.org so we can help you. You can change the e-mail address we have associated with membership at any time once you are able to log in. 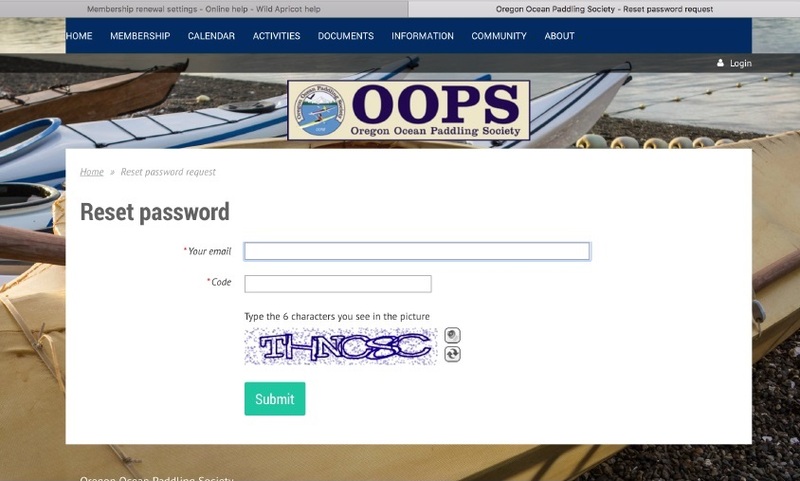 Type in the security characters and click on Submit. 5. Go to your email account and find this email message from OOPS. Click on the second link in the email. 6. Type in a new password and click Set New Password. Make sure to record your password in a secure location! 8. 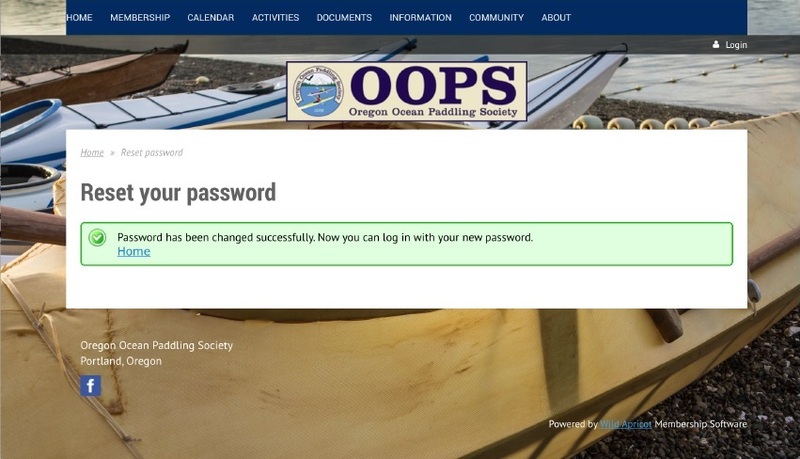 Log in using your email address and the new password you just set. 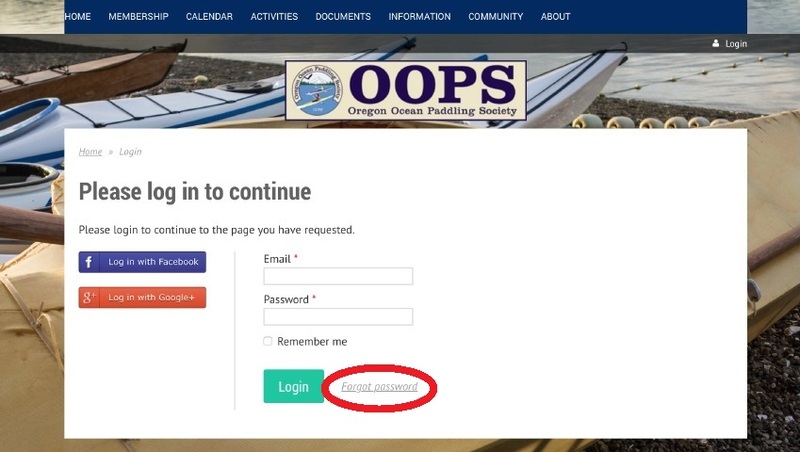 Click  Remember me if you are using your own personal computer and would like to stay logged in to the OOPS website. You can change the e-mail address we have associated with membership (and any other information in your profile) at any time once you are able to log in. Just click on your name in the upper right.